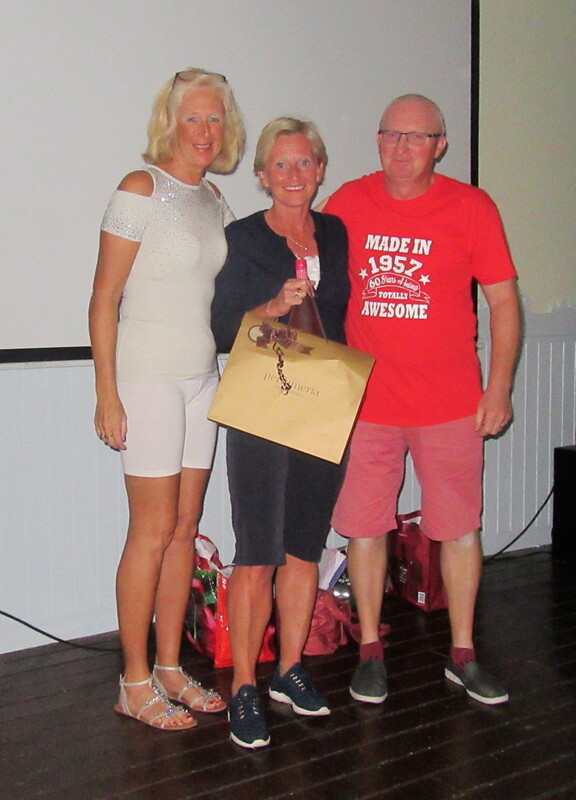 Tom Junge with sponsor Sandy…………………..
A very busy week With over 260 green fees from the society Monday, Tuesday, Wednesday and Friday. 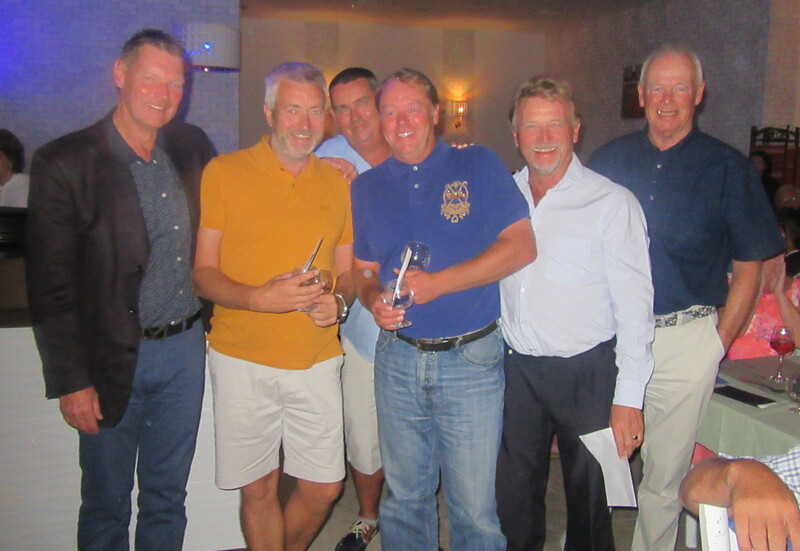 Plus those from the Norwegians who played their own competition alongside us. 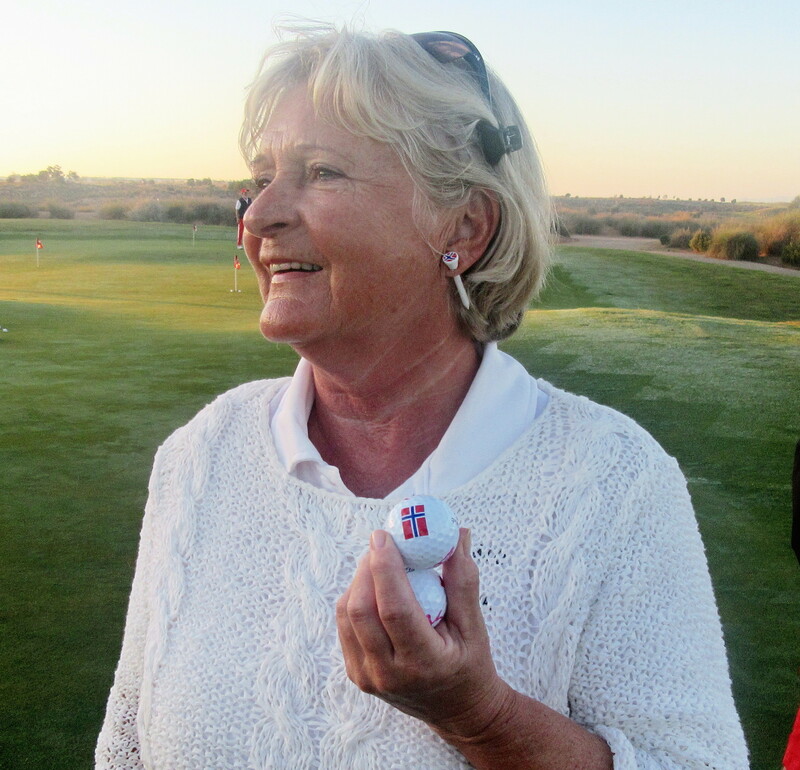 There were 89 players in the Seniors competition sponsored by Sandy and Dorothy Simpson. 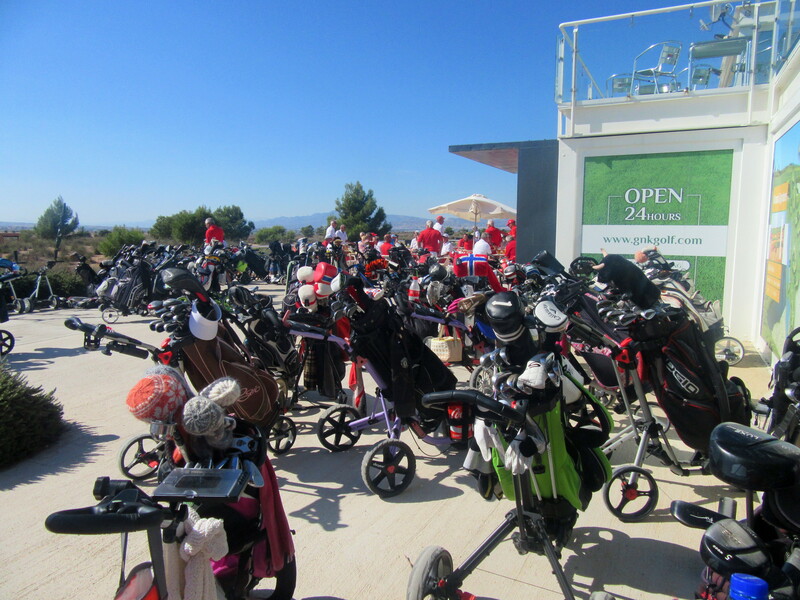 The first in 2011 had 72 players 37% of whom were seniors – this year 75% of players were 55 or over! 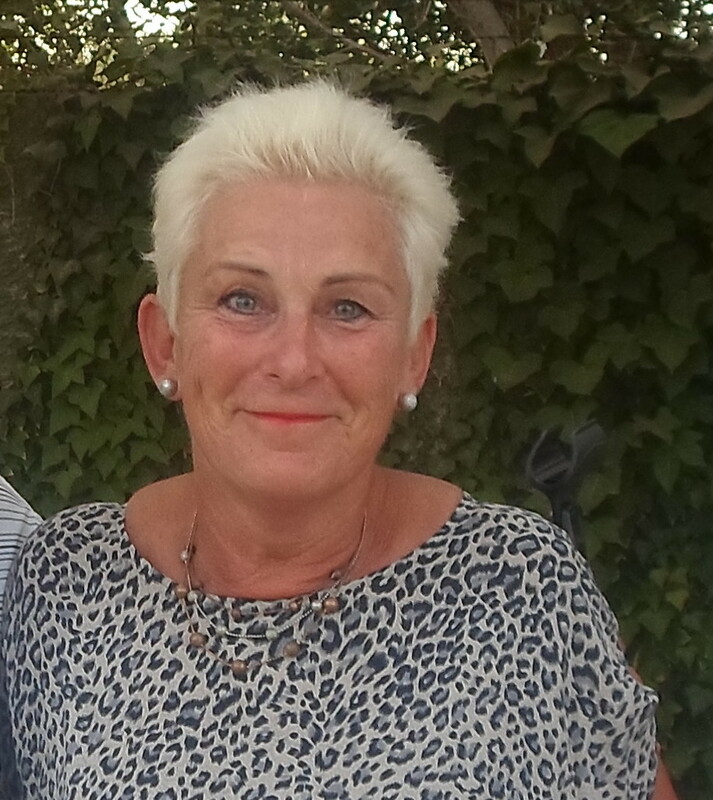 Thanks to Liz Beaton and Liz Whyte who acted as starters in the absence of Peter Reeves, who unfortunately has suffered a setback in his recovery from surgery – get well soon Pete. 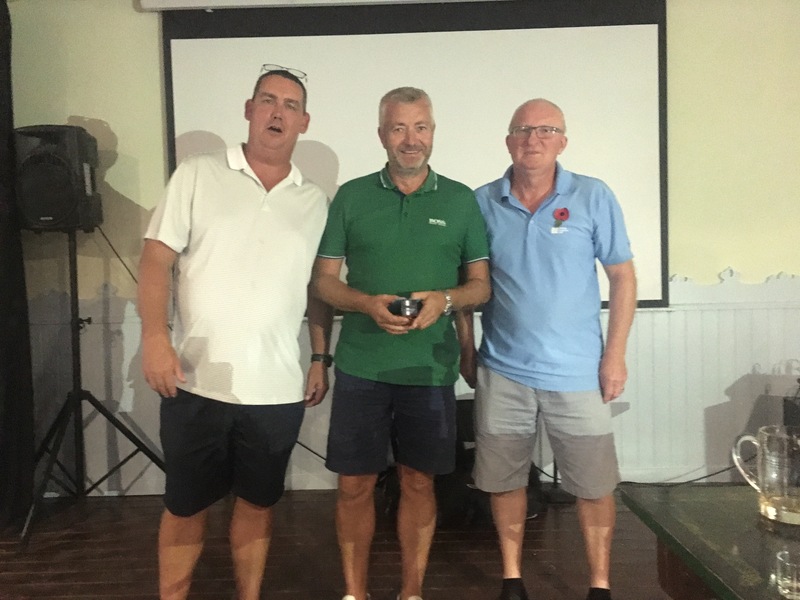 I mentioned in the Viking Cup report that Tom Junge flew back at a moment’s notice to play in the game on Tuesday – it was worth his while, he managed to collect a major trophy as well! 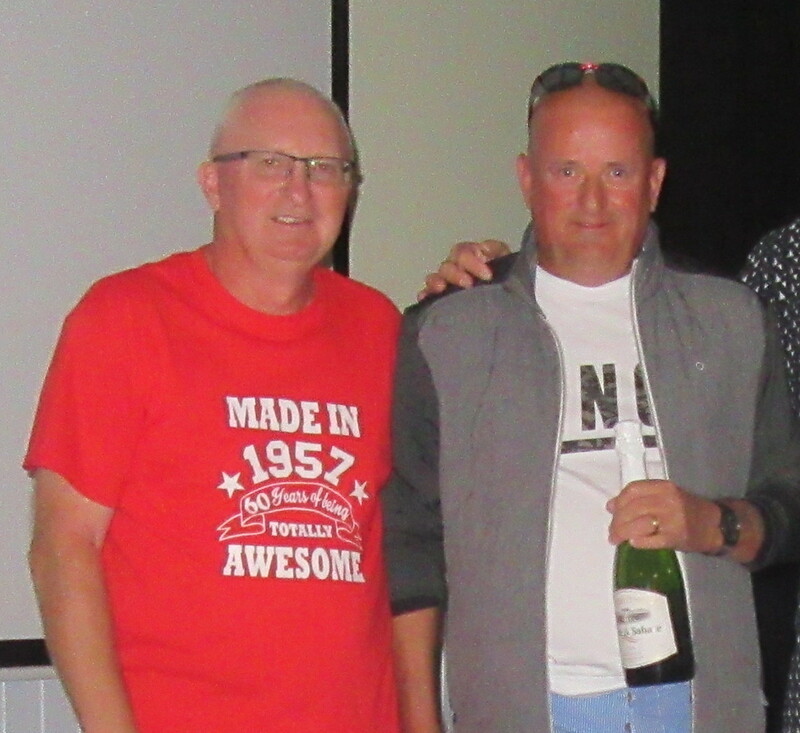 lots of prizes to give out…..
Arve won the second division………………..
Pete won the spot prize on hole 8………………..
A few photos from out on the course, and I will add some more to Don’s CDA Golf Society website in a couple of days. 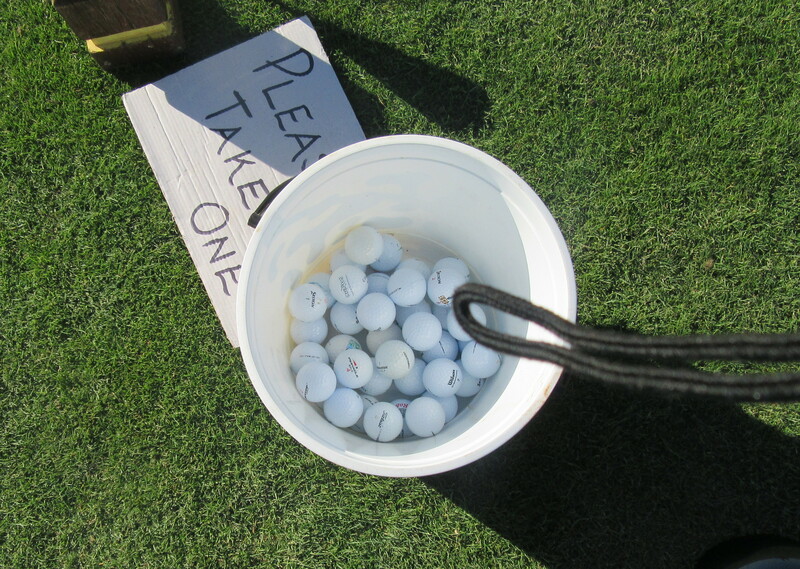 Sandy left these balls on the 10th tee – should have said ‘take 2’ with holes 10 and 11 to come…………………. 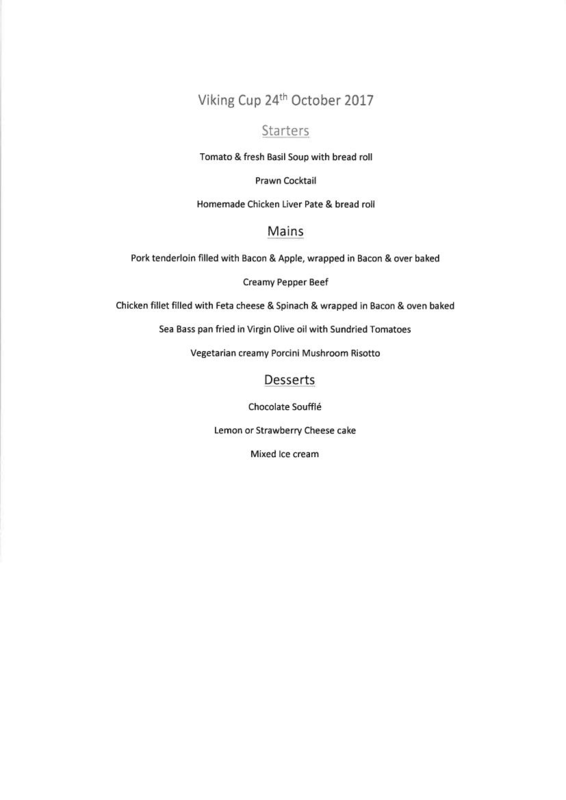 Eamon, Chris and Kev help themselves to the best while I take the picture…………………. 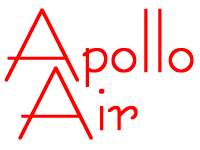 Next week is the penultimate completion for the annual Apollo Air Championship – only one point separates the top 2 at the moment………..
Did you turn your clocks back one hour? A fantastic day (and night) for the 2017 Viking Cup. Great weather, little breeze and played in the best spirit of friendship. 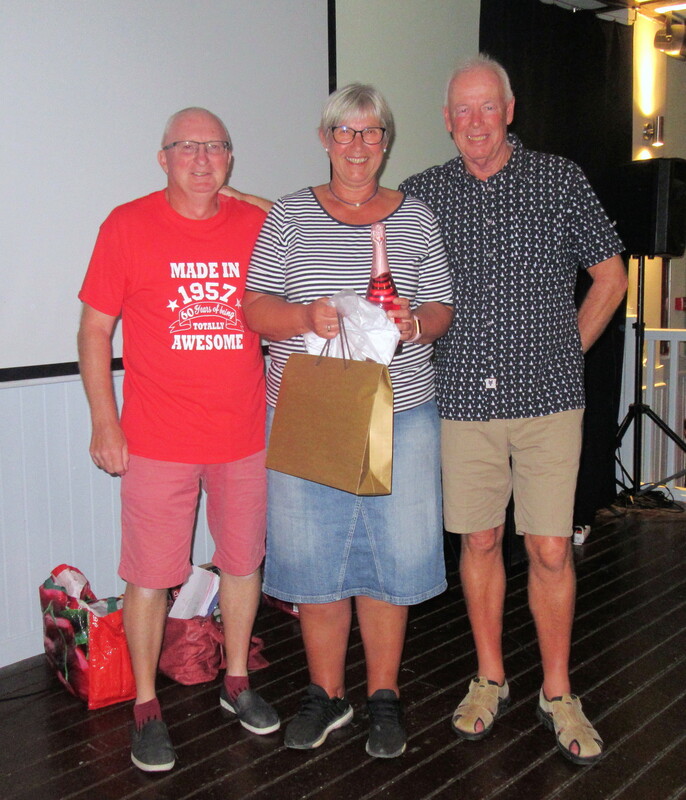 Thanks to all those involved in the organisation of everything to make the day go smoothly. 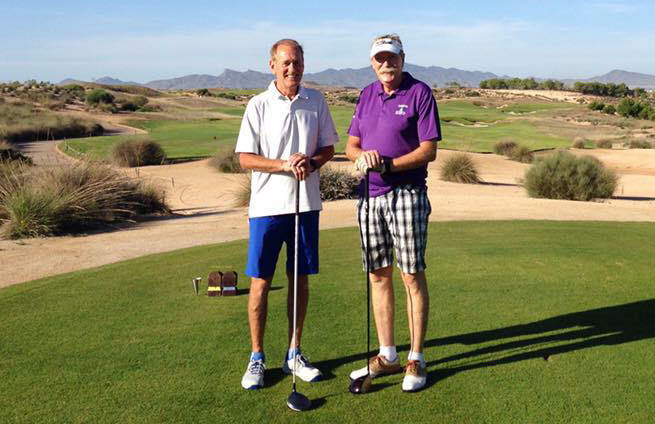 The format of a combination of pairs matchplay and individual stableford worked perfectly, with the final result resting on just a single putt. Matches halved or won by one hole could have swung by 10 points (which was the margin of victory) but the British and Irish have reasons to despair for there must have been quite a few golfers rueing that one important missed putt. The competition is the highlight of our year with 92 players taking part and reserves waiting on the side lines. Tom Junge (Scandinavia) was told the week before that he had not made the team, so flew home to Norway. A last minute vacancy arose however, and at a cost of over 700 euros, Tom flew back! Also dedication from the other team. Barry Answer had his flight cancelled (Monarch collapse) but rather than cancel the trip his wife Denise arranged a flight home from Alicante to Paris, a scheduled 3 hour stay over (plus a mechanical delay as we speak) and onward to Birmingham (at significant cost also)! 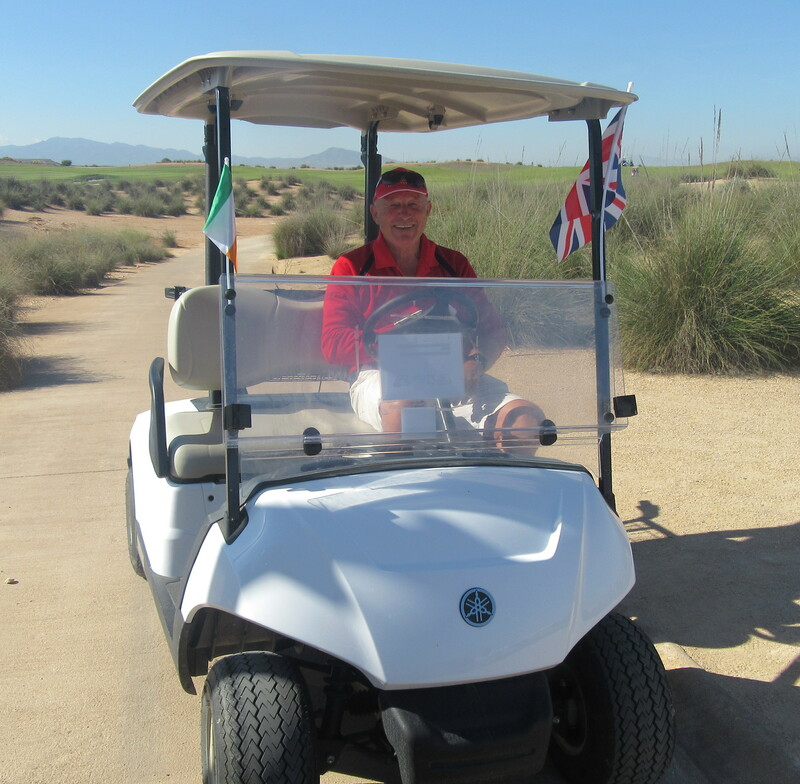 Peter Reeves was devastated to miss the competition due to his recovery from illness, but the UK & Ireland team involved him as on course captain, driving around the matches in his buggy! Thanks also to Denise and Byron at Diversity Golf who put sandwiches and chips on for the golfers after play. SCANDINAVIA WIN THE 2017 VIKING CUP! 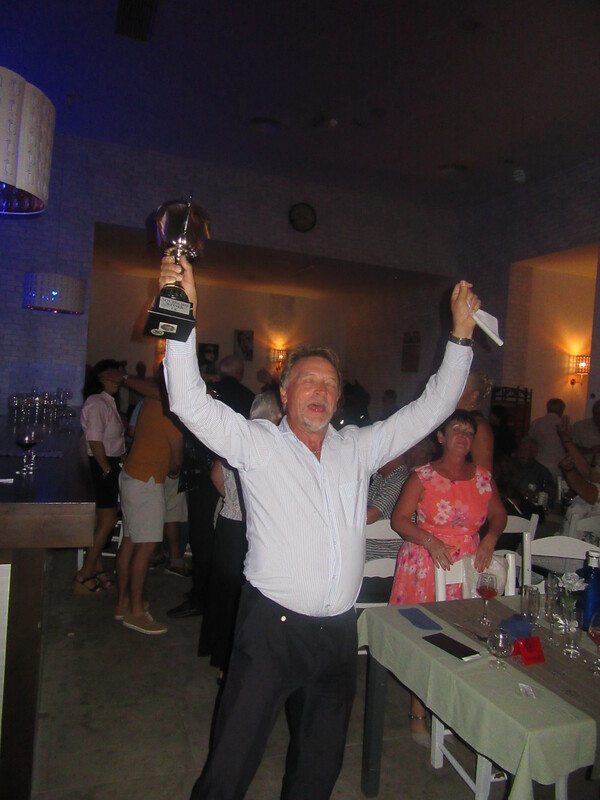 This was the 8th Viking Cup and the overall score is now 4 – 4! 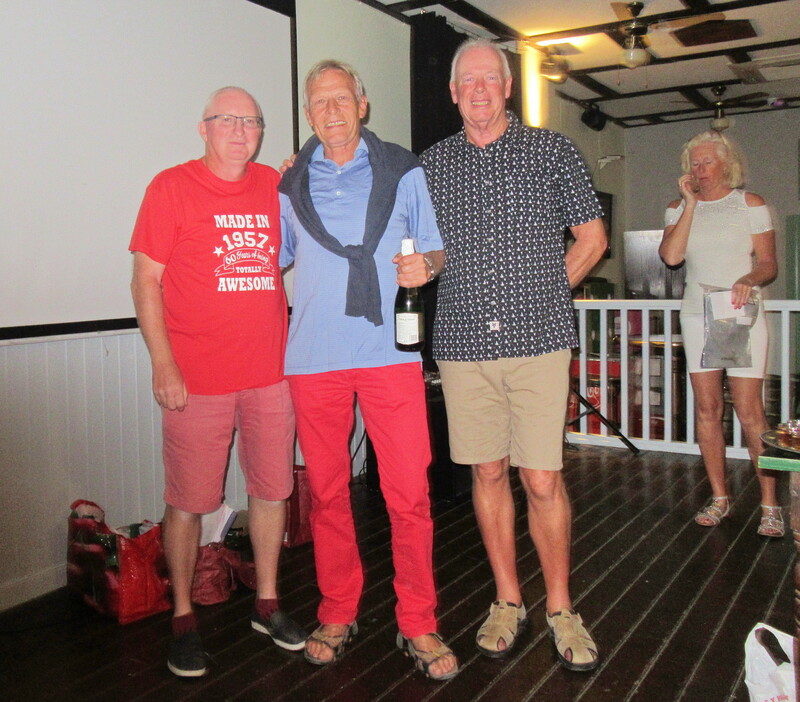 so close, but not this year……………………..
the best pair, Chris and Paul…………………. Ylva was the best lady……………….. The players got into the spirit of the competition by sporting their team colours, but did Barry Answer forget which team he was on? 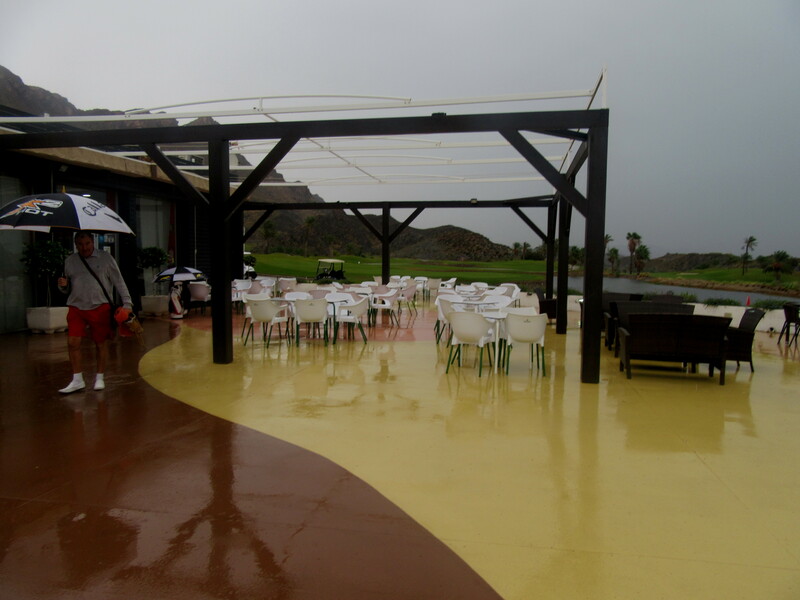 this is what the terrace looks like as a result of the shotgun start…………. 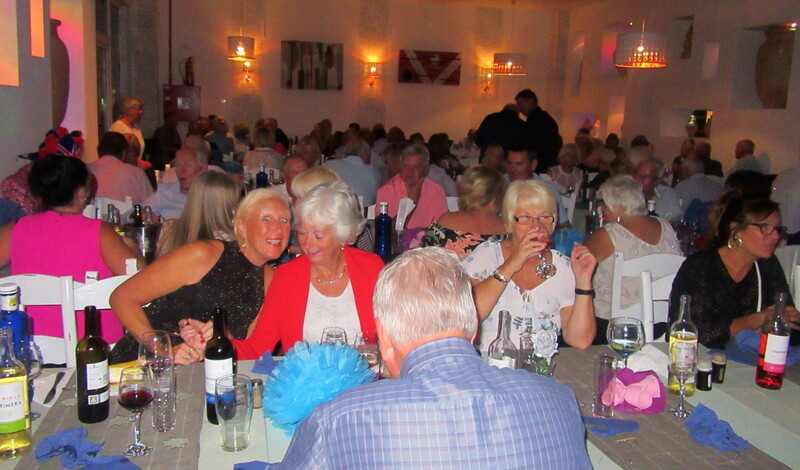 An excellent night in Sofia’s restaurant with 146 guests, probably so high by being on site. 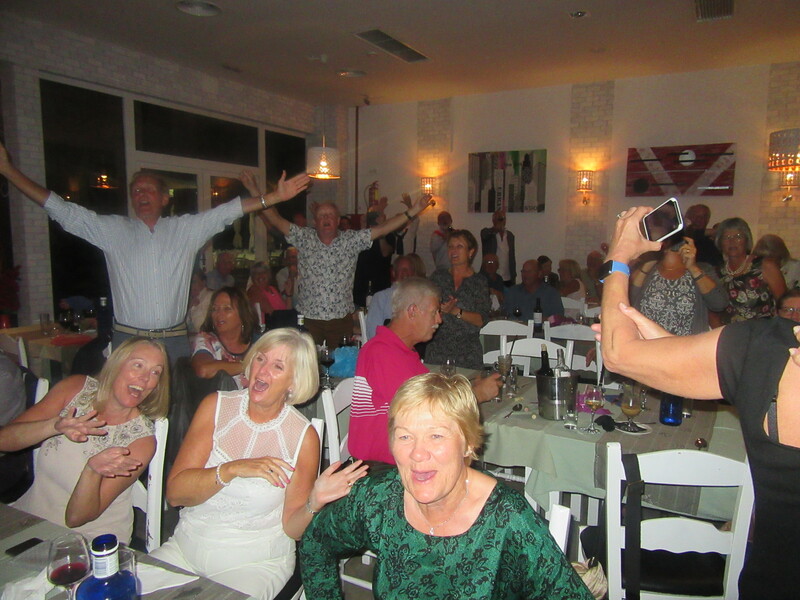 The food and service was top class, and after the presentation Byron entertained the dancers in a night club atmosphere. 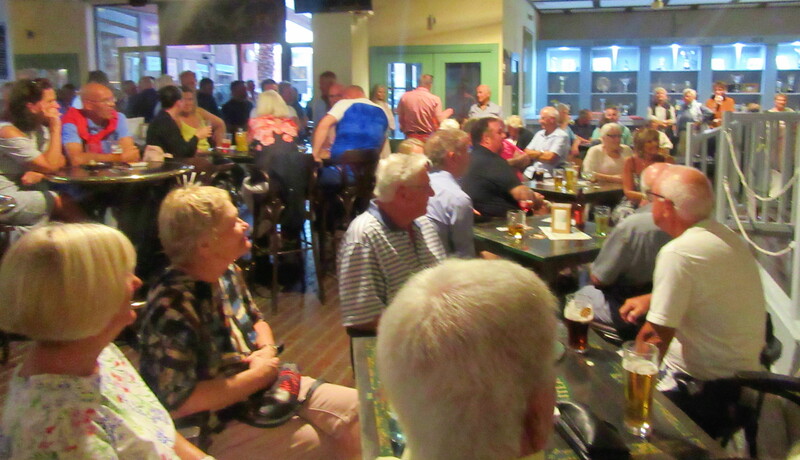 I couldn’t get everyone in this shot – tables behind and to the side………………………. the Vikings celebrate their win…………………. 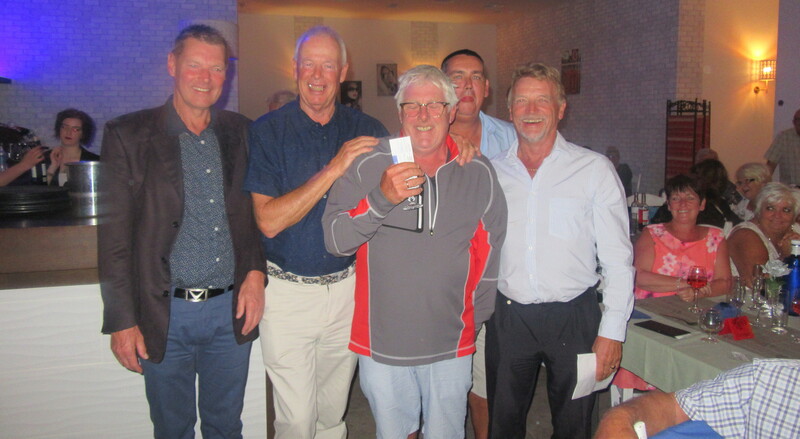 And onwards to Friday when we have another fully booked shotgun start – it is the Seniors for golfers 55 and over………………. Sorry it’s late, just got it. 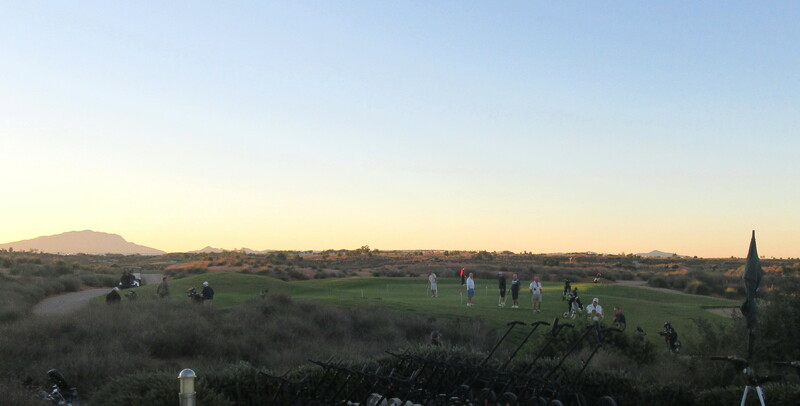 Very different this week with a shotgun start, enabling all 80 players to set off in the dawn sunlight at 9am. Also we were all back in the bar between 1.30 and 2pm, which was one drawback with the queue for drinks. 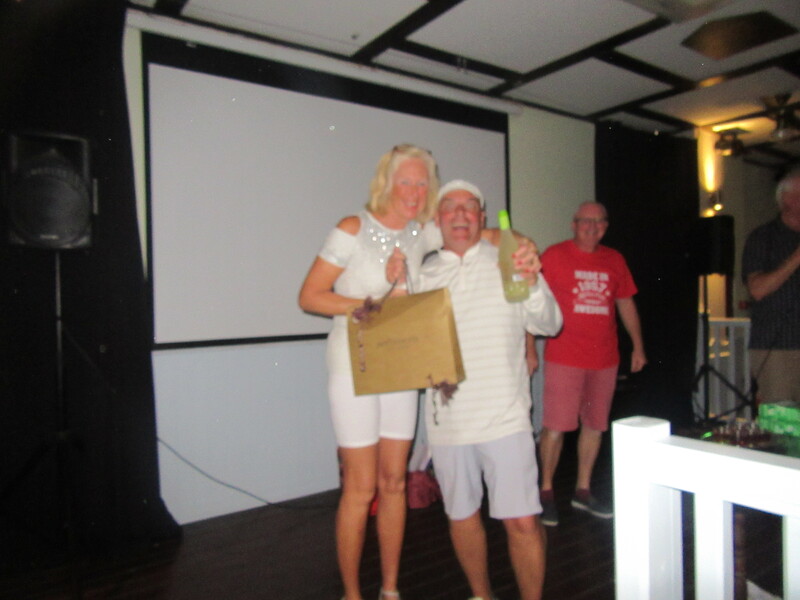 Both Paqui and Ana were behind the counter first thing to collect all the green fees, and special thanks to Peter Reeves and Janice Collins who acted as starters. 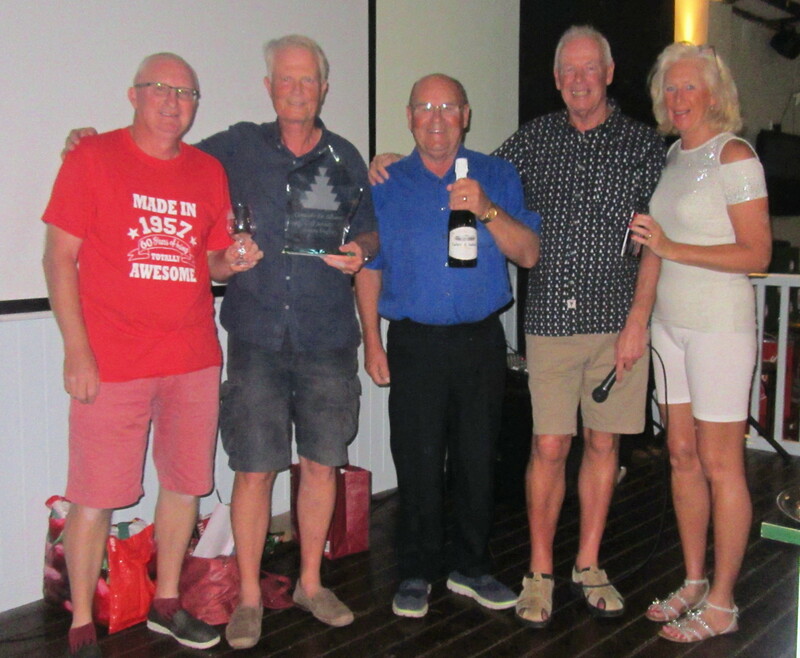 The usual scramble for positions at the top of the leader board saw several teams with excellent scores but class told in the end, with the winners being off lower handicaps. 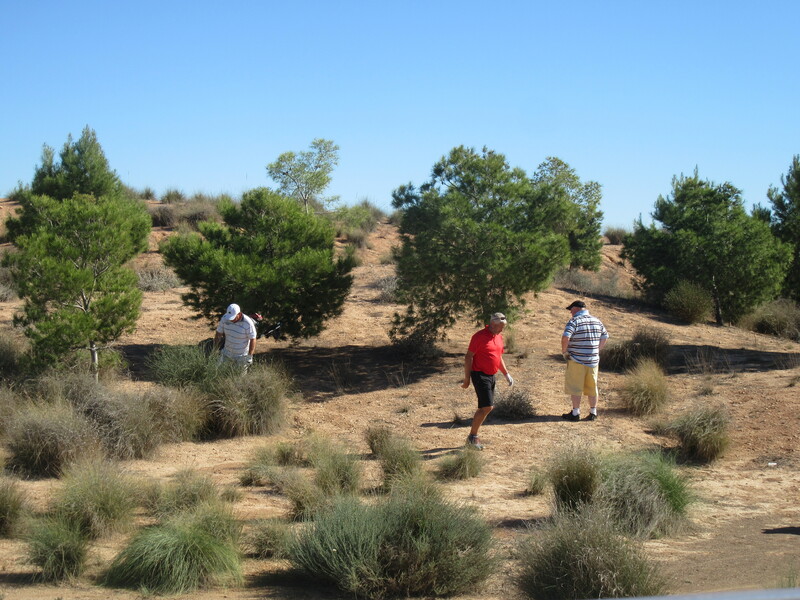 A reminder of the rules of a texas scramble – the ball chosen can be placed within a scorecard length on close mown grass, but elsewhere it must be played as it lies, with subsequent players dropping within one club length. Maybe it was because of the Viking Cup next week, but the Clover was the fullest I have seen it for a very long time for the presentation. 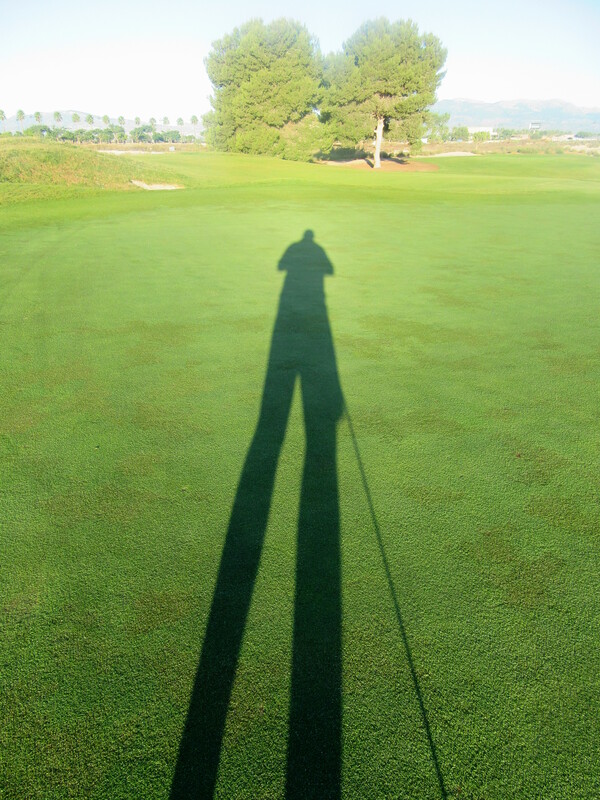 the sun hadn’t reached the practice putting green either………………. I baled out of the buggy as Don Henry sets up to hit the 15th green (somewhere off picture to the right). 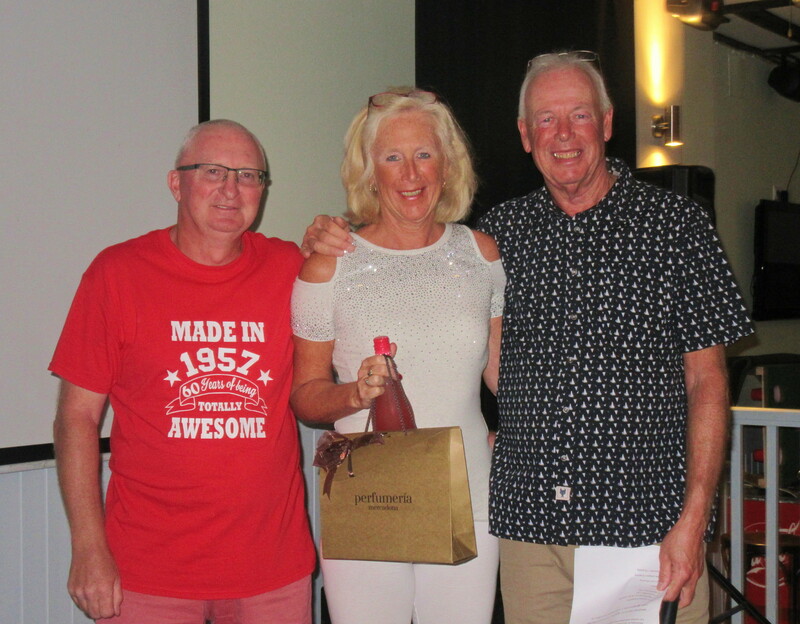 the golf society created lots of business for both bars…………………. 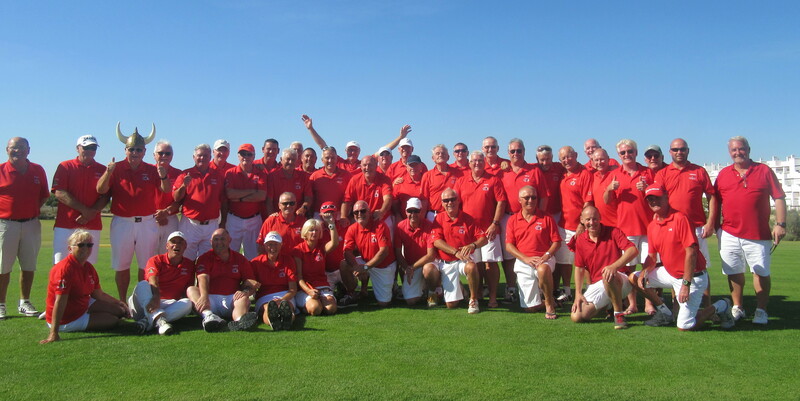 About 12 hardy souls went to Aguilon Wednesday for the 2nd Ryder Cup qualifier. The forecast said rain, thunder, lightning, but often forecasts around here are general and do not happen. 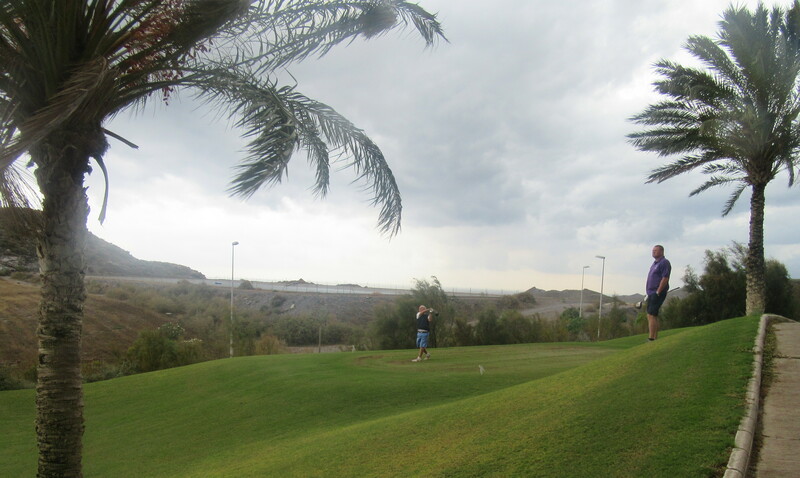 But on this occasion it was dead on – no problem at the start, but then a typhoon wind got up (fortunately behind on the first few holes). The sky darkened, the rain got worse, thunder rumbled and then the flashes started. The mountains surrounding the course reverberated with the echoes of the angry gods, and as we were about to make a decision the marshall arrived by the 6th green, and in no uncertain manner told us to pick up our ball and get the hell out of there! 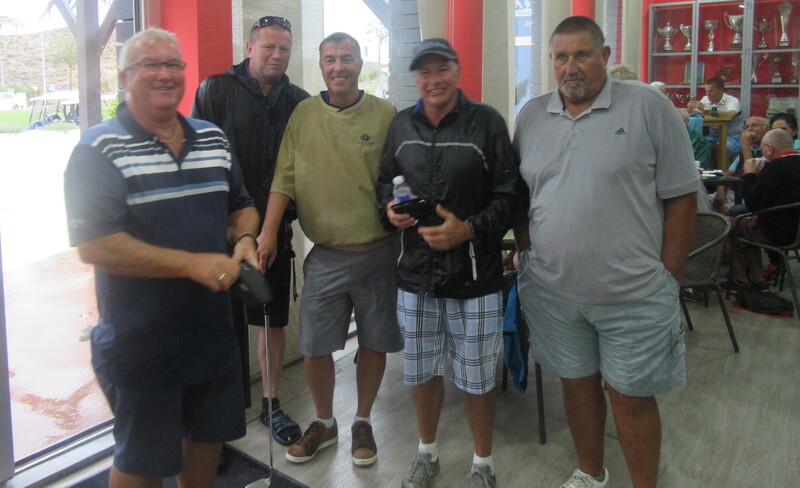 Dave Wareing, Ricky Comber, Tony Keating, Terry Burgess and Les Hurren safely back in the bar………. 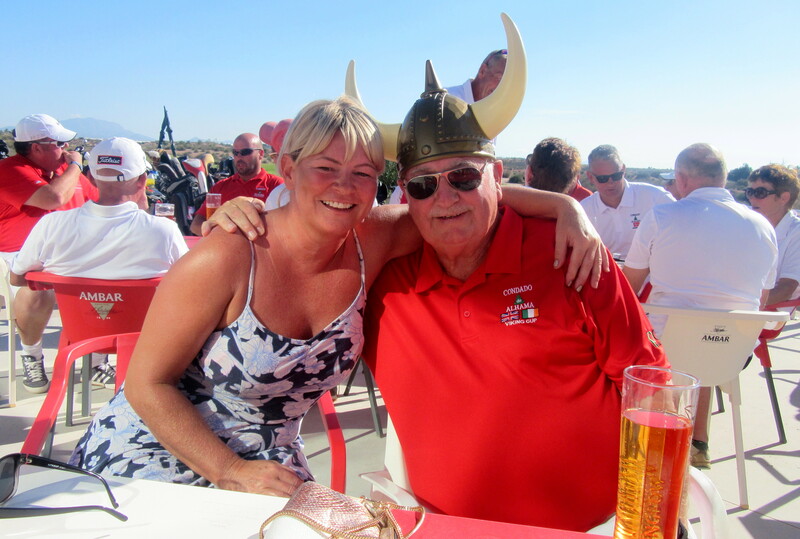 Sad news – we have just been informed of the passing of one of our Danish members, Maria Keldorf. Our condolences to husband Ervin and family. A message from Neil Simpson…………………. 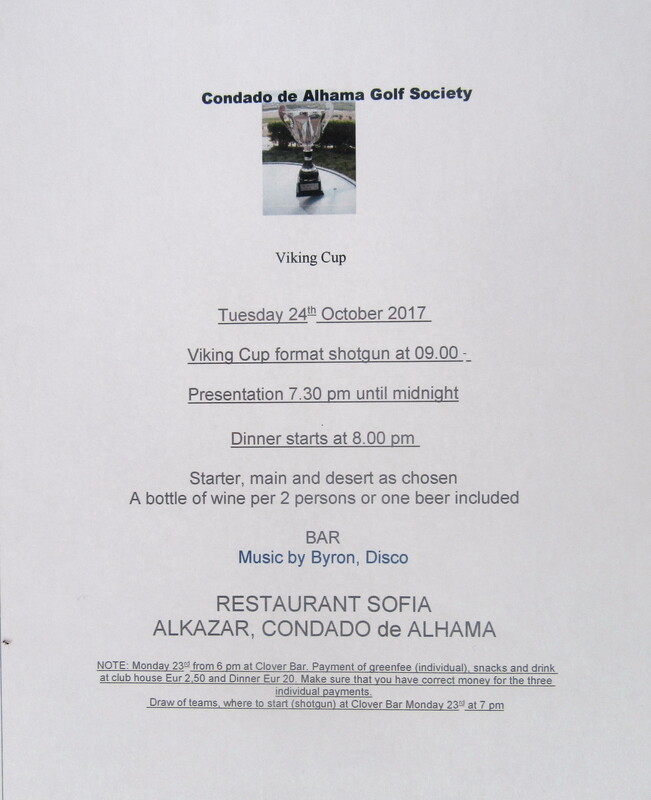 The 2017 Viking cup is now approaching and the final arrangements are being made for the competition. Please all player MUST be in attendance at the Clover on Monday night at 6pm as we will be collecting all the money for your golf. 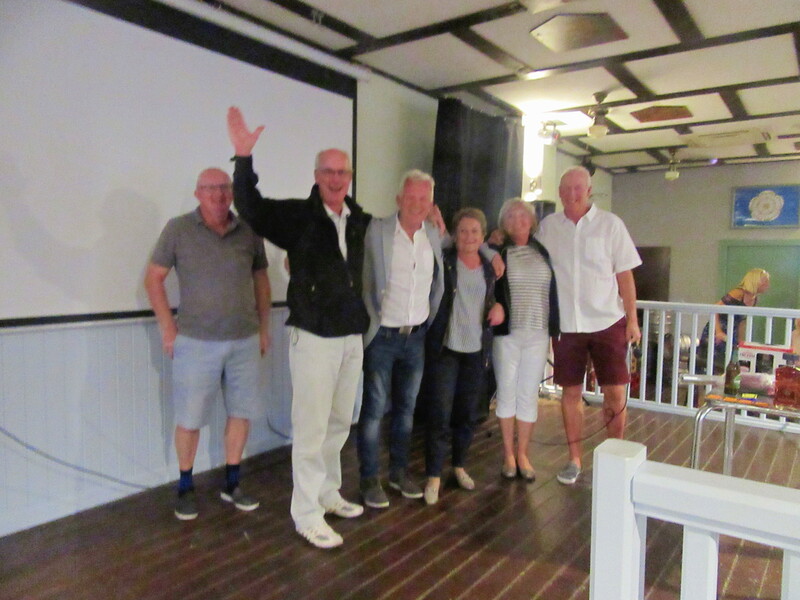 This year the Norwegian side are organising the evening celebrations and presentation and all of you who have booked will have to pay the 20 euros for each member of your party on Monday night also. 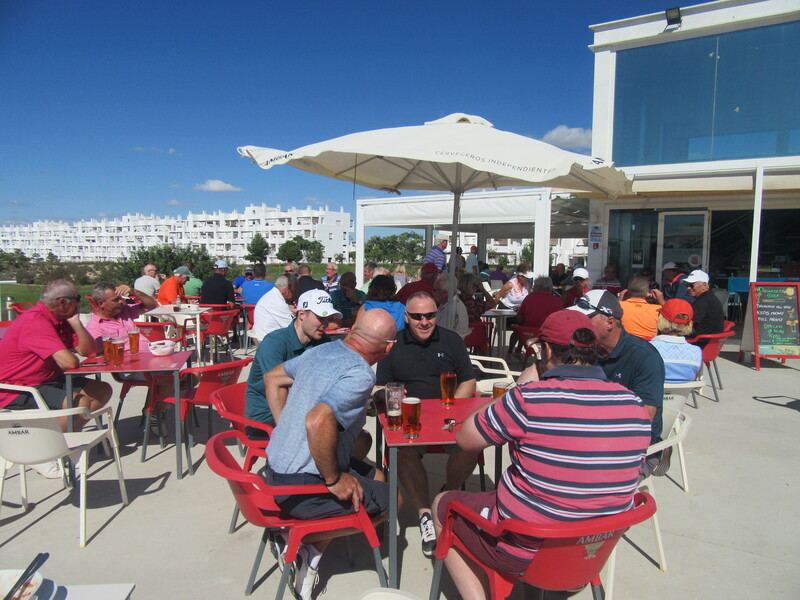 The draw will take place at approx 7pm when the the pairings and the tees for each group will be drawn. 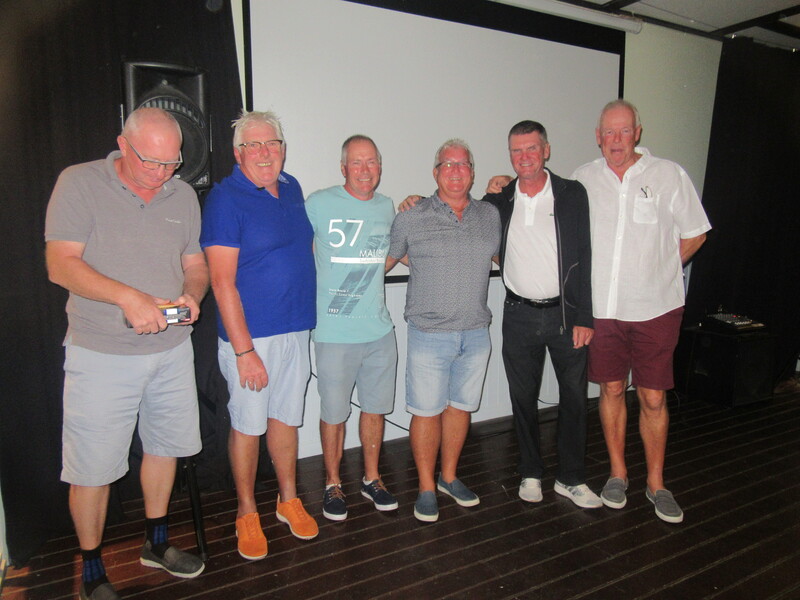 The four captains and vice captains will play from tees 1 and 10, all the rest will be selected at random – this allows them to return to the clubhouse and set up the scoring systems. 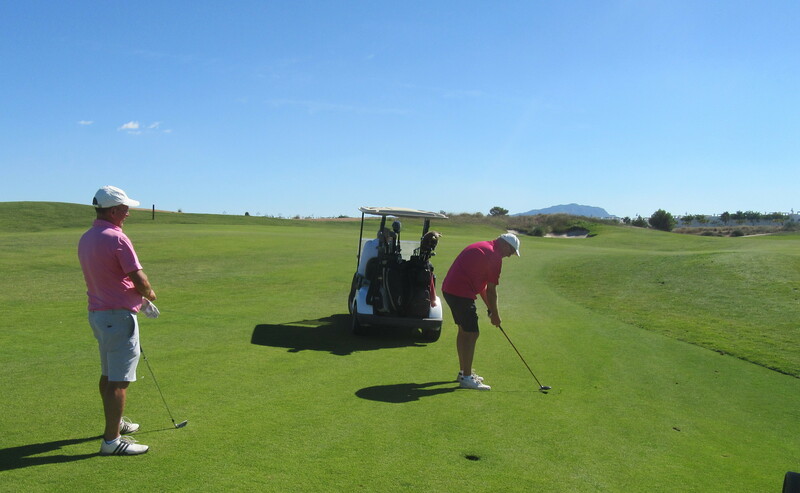 The teams have been divided up into 3 groups – the lowest 12 handicap players, highest 12 handicap players and the 22 players in the middle. Your partner will be from the same category as you and the pair you compete against will also be from the Norwegians corresponding groups. This will allow for pairs to be playing against similar handicaps. 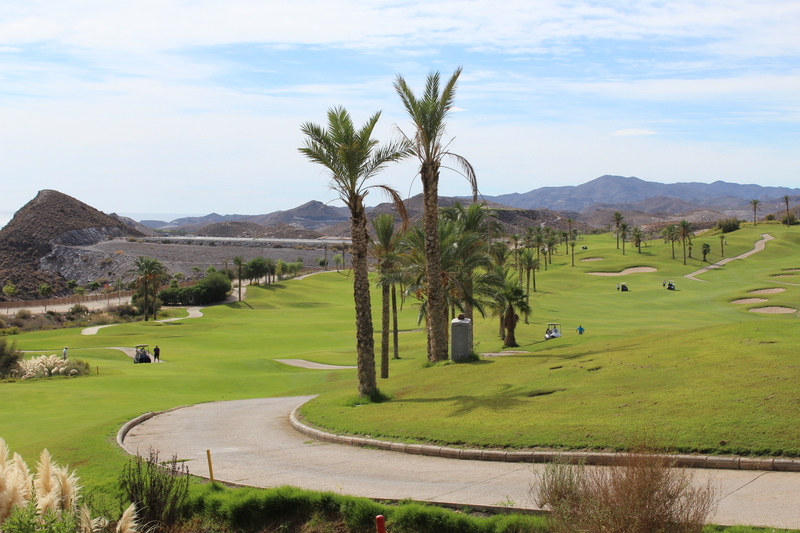 The scoring system is designed to allow both a matchplay and stableford competition to be played at the same time. this I know is not normal but has proved highly successful in the past and also ensures that all players must complete the whole 18 holes regardless of the matchplay situation. 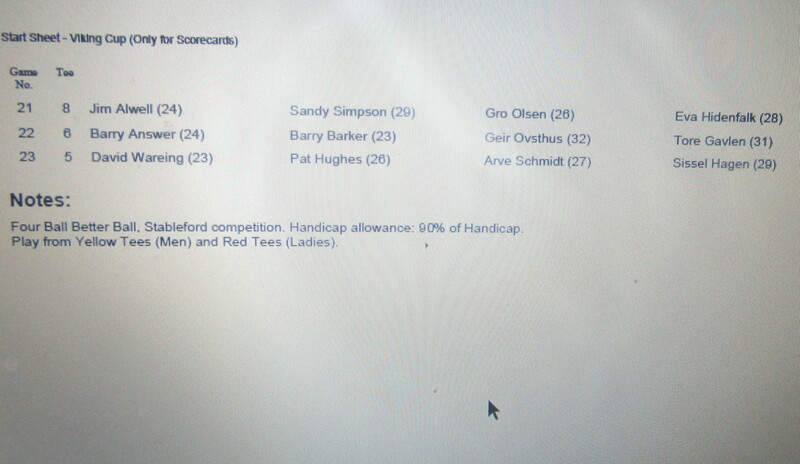 The top 80 % of individual scores are added together giving each team a stableford total. The matchplay is hole by hole and a side wins a hole by an individual player having the most points stableford on that hole( better ball). so each hole is either a win or a half. 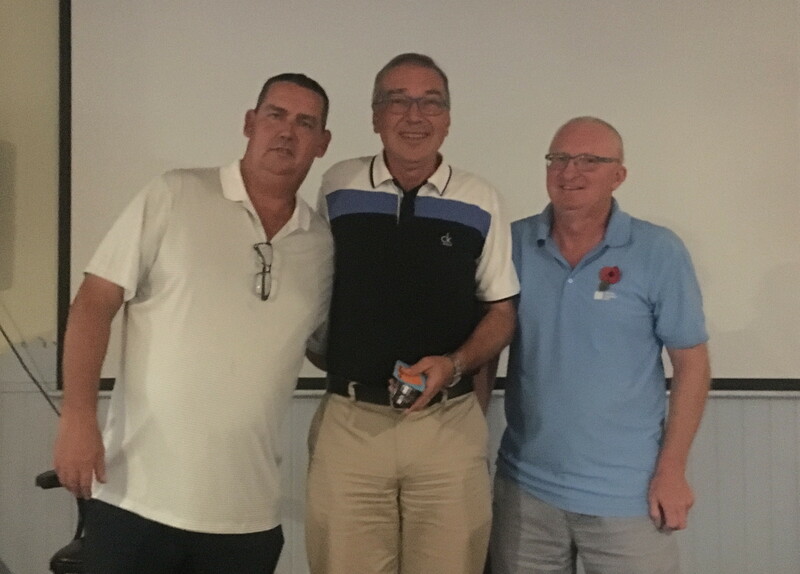 Each pair that wins the match is awarded 10 points, 5 points for a draw, and these bonus scores are added to the stableford total. The combination of the 2 gives each team an overall score and determines the winner. Please ensure that if you win or lose a match you continue to play until the end as every point counts. 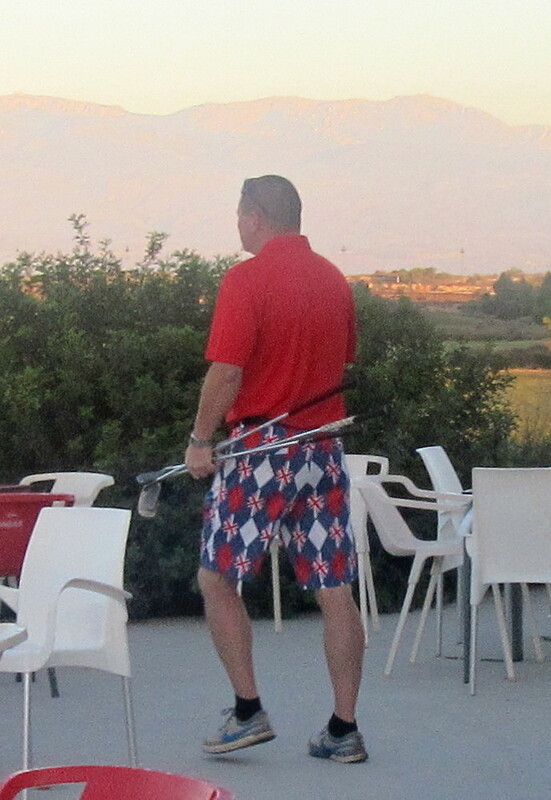 Any problems please see me Monday night – we have had a few players not entirely sure of the format before teeing off in the past. 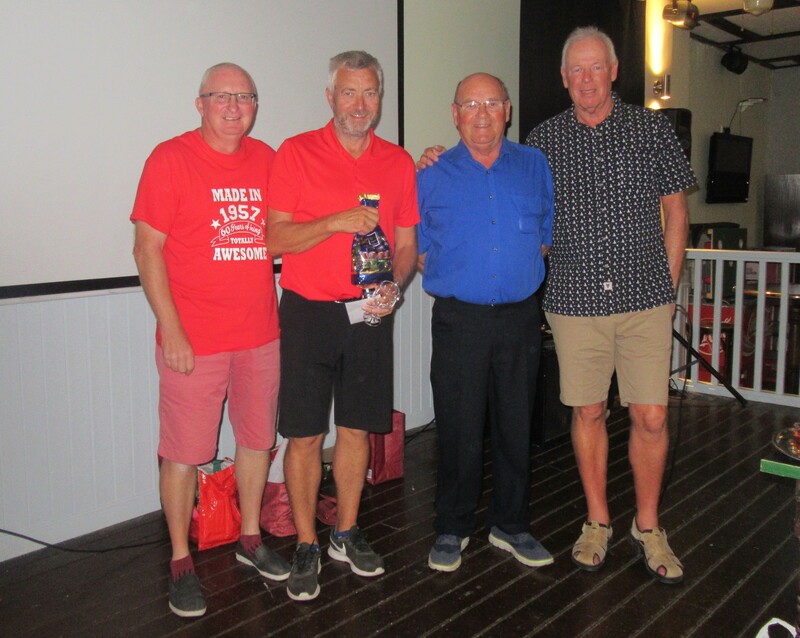 I congratulate you all all for making this years team as it is the most oversubscribed event of the year with both teams having many reserve players wanting to participate. Any player who is unable to play at short notice due to injury or exceptional circumstances needs to contact me asap to allow a replacement to be brought in. Please also ensure that you arrive on the course in plenty of time to reach your tee for the 9am start. All I ask is that you try your hardest, play well and enjoy the day. It would be very easy to drool with sentimentality over the Viking Cup. But, at the end of the day, it is simply two teams trying to knock seven bells out of each other, in the nicest possible way. 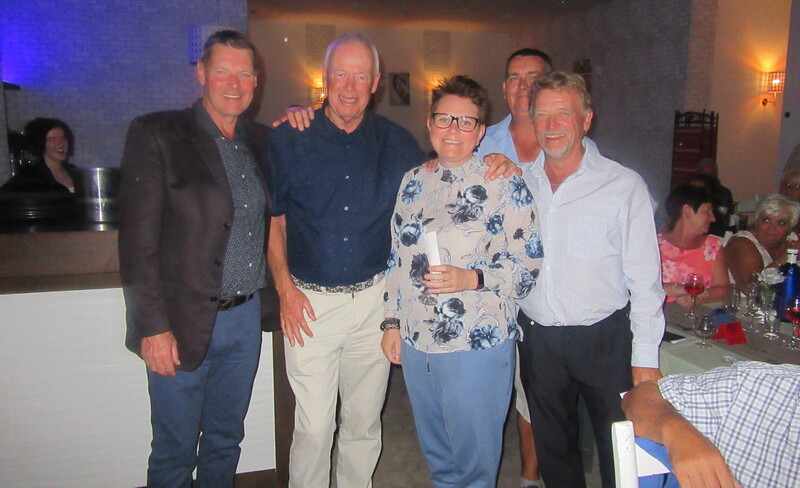 The Seniors major next Friday is also a shotgun start, and the sheet is already full – a very busy few days for the golf society! 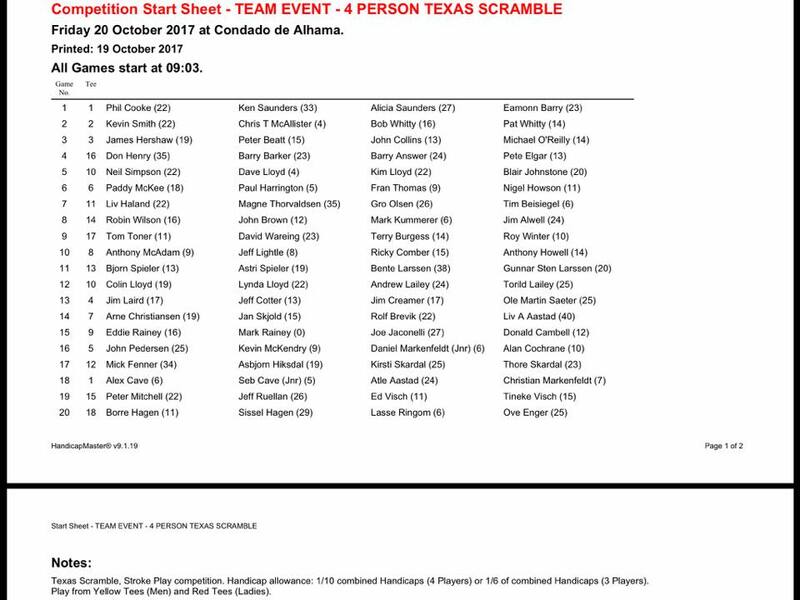 Here is the start sheet for tomorrow’s Team Event 4 Person Texas Scramble. It is a Shot Gun Start at 9:03am. The second column from the left shows the tee number that your team has been drawn to start from. 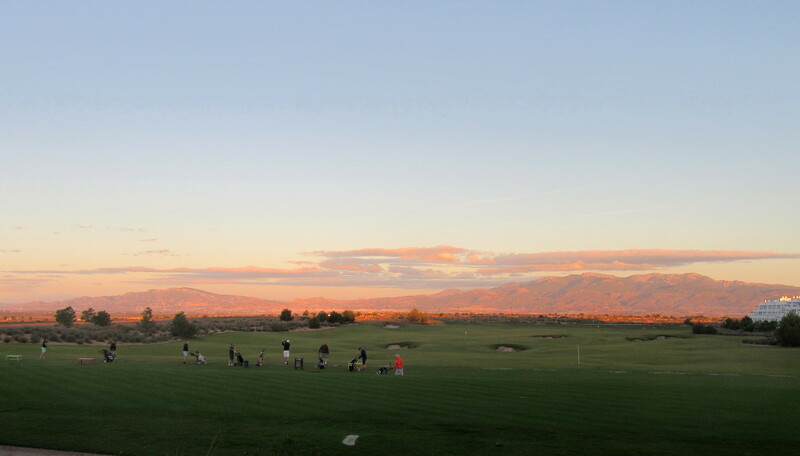 Please allow enough time to pay your green fees and reach your designated tee. 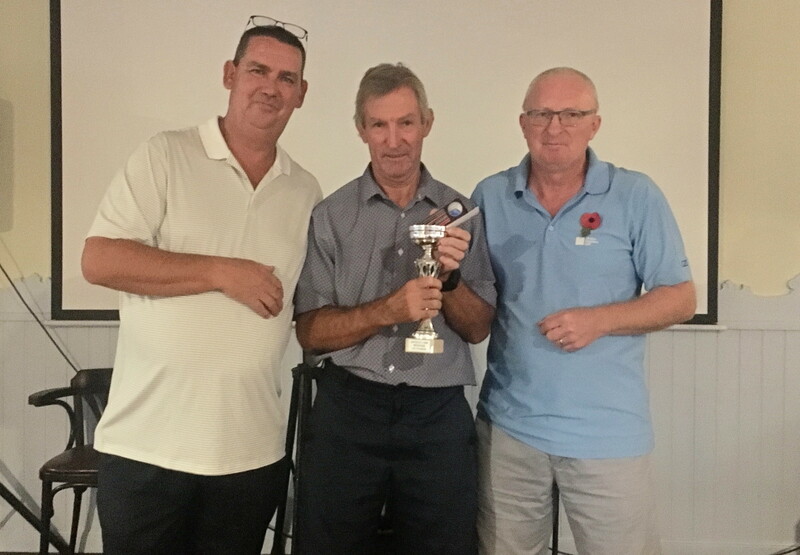 The next 3 competitions are all shotgun starts, with a possible 92 players each day.Both the Viking Cup and the Seniors (24th & 27th October) are completely booked up, but there are still vacancies for the 4 person texas scramble next week. Sorry the blog is late, been away without internet. 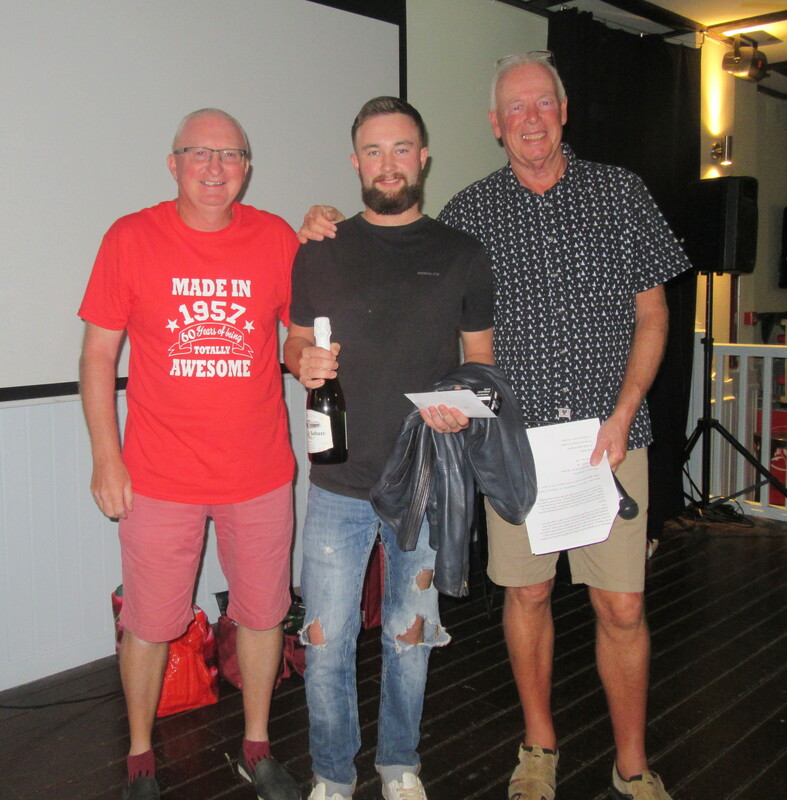 This week’s winner was John Brown, and the chase for the annual championship is hotting up. Kevin Smith is now only ONE point ahead of Chris King, and John Collins has a great chance to catch them in the last 2 Apollos (November and December). See the ‘Best of Series’ link under the results section of masterscoreboard for the full leaderboard. 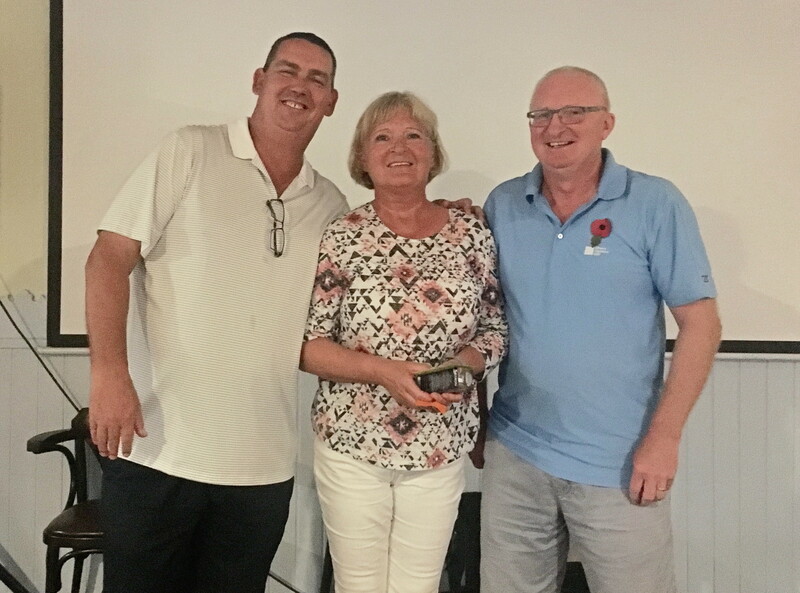 a great score from John………………………..
Ole Martin won division 2………………..
and a good score from Astri won the ladies………. 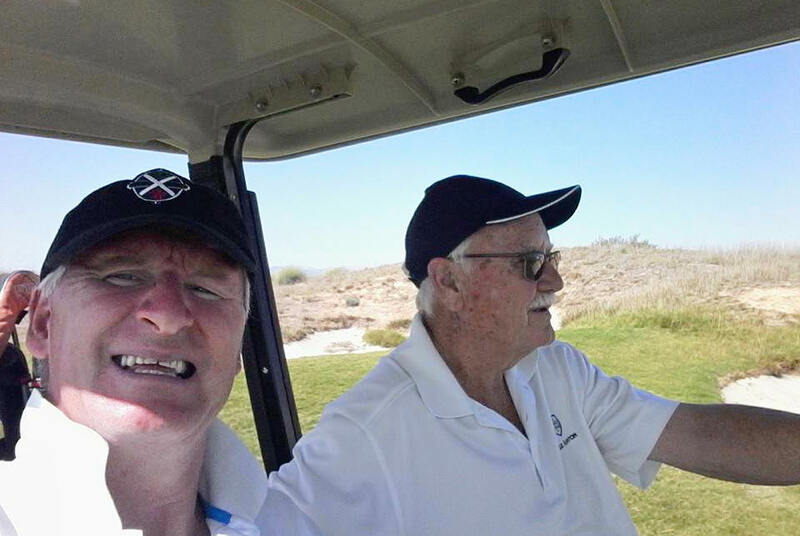 Only one picture from on the course – the Bolneuvo duo of Pat Hughes and Peter Mitchell in their buggy………………………..
Just some interesting statistics for you. Our Master Scoreboard page has been visited 9877 times so far this year. (Since on-line bookings opened on 24th May). 374 Members have used Master Scoreboard to book Tee Times. 97% using it more than twice and 78% using it more than 10 times to book. Next week is the 2nd Aguilon Ryder Cup qualifier on Wednesday, and a four person texas scramble Friday. 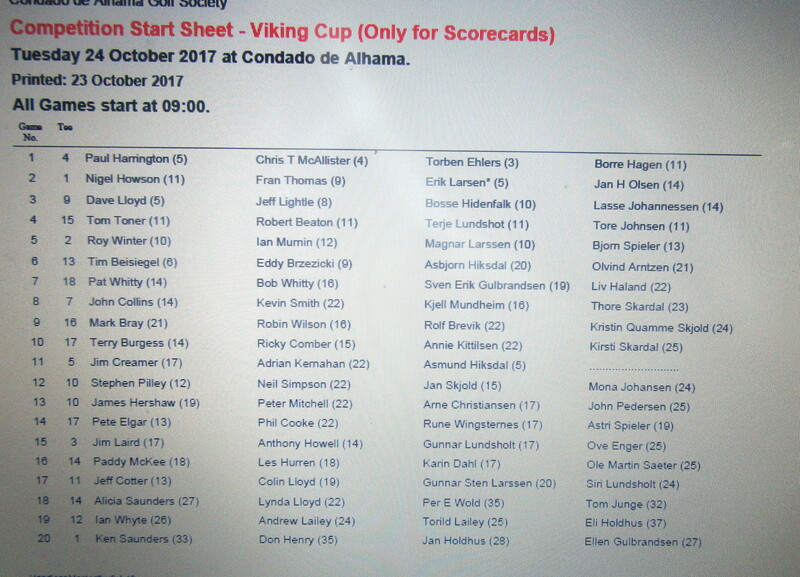 The Viking Cup is les than 4 weeks away, so here is the latest information.